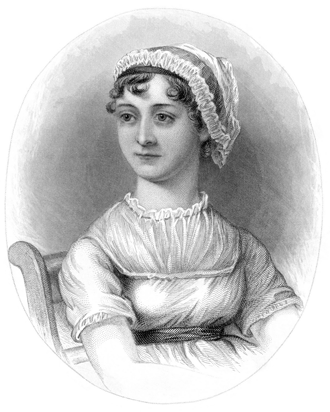 Quite unintentionally, 2015 has turned into the year of Jane Austen for me… and that’s a very, very good thing! 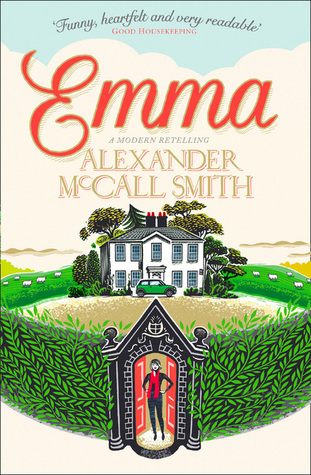 1) I happened to stumble across a promo for Alexander McCall Smith’s retelling of Emma several months ago, soon after reading (finally!) The No. 1 Ladies’ Detective Agency. I’d been planning on checking out more of AMS’s books, and thought this sounded like great fun. 2) I’ve gotten hooked on audiobooks in the last year or so. I listen to them during my daily commute, and I’ve become really addicted to doing my weekend walks with a bookish soundtrack. So, I thought I’d like to read the new Emma, but realized that I should probably re-read the original first, since it’s been many a year since I first read it. Audiobook to the rescue! I listened to Emma as narrated by Juliet Stevenson, and thought it was simply brilliant! Juliet Stevenson is a remarkable audiobook reader, giving such personality to all the characters. And the story itself! It just cracked me up. I hadn’t remembered Emma as being quite so funny, but trust me on this one — given the times I started laughing in public while plugged into my IPod listening to this book (and the number of bizarre looks I got), it’s definitely got some hilarious moments. Moving on, I decided that I needed to know more about The Austen Project, which was conceived several years ago as a major publishing to-do. The concept? 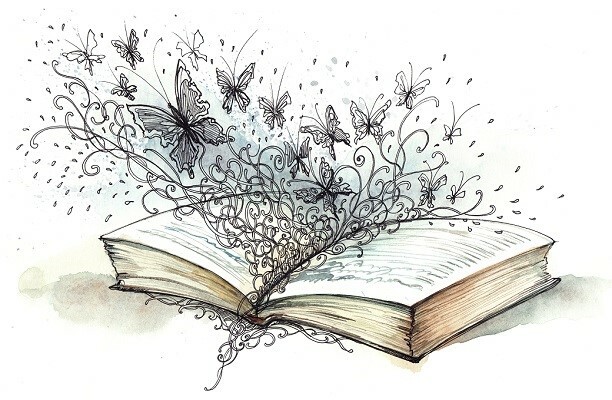 Invite contemporary fiction writers to re-write Jane Austen’s classic novels, setting them in modern times and giving them a new spin while remaining faithful to the original. I suppose the point is to show the timelessness of Austen’s works. Supposedly, the next book to be issued as part of the project is Pride and Prejudice, written by Curtis Sittenfeld, although I haven’t found a firm release date yet. 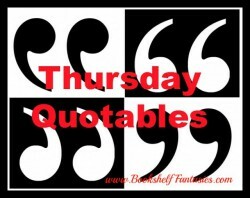 Apparently, Persuasion and Mansfield Park have yet to be assigned. For me and my year of Austen, I haven’t quite made it to any of the re-tellings yet, although I now have the three books ready and waiting — and once I read them, I’ll be sure to share my thoughts. Meanwhile, having the modern versions on hand has definitely piqued my interest in re-reads. Hence, the audiobooks. 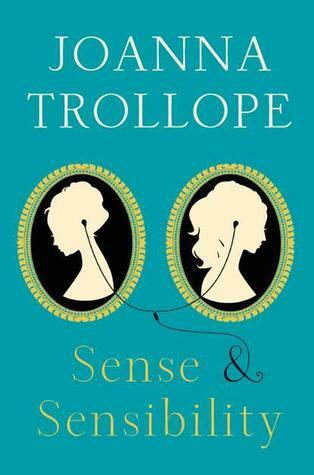 So far, I’ve listened to Emma and Northanger Abbey, and am now in the early chapters of Sense and Sensibility. The audiobooks are awesome, yo. I’m so completely enraptured by Juliet Stevenson’s ability to give voice to each character in a way that’s fresh and easy to identify, plus the way she infuses the lines with such snark and humor is just amazing. Once I finish with the Austen Project books, I do believe I’ll keep going with my Austen mania. I’ve been wanting to revisit Persuasion for quite some time now. And to be honest, while I’m almost completely sure that I’ve read all of Jane Austen’s books, some niggling doubt is telling me that maybe I only think I’ve read Mansfield Park. I do have a battered old paperback on my shelf, and it certainly looks read. But then again, I know that I’ve seen the movie… no, no, I’m really 99% sure that I’ve read the book… I think. Then onward… so many options! And after all, there’s really never a bad time to re-watch Bride and Prejudice. I’ve read the three Austen books. 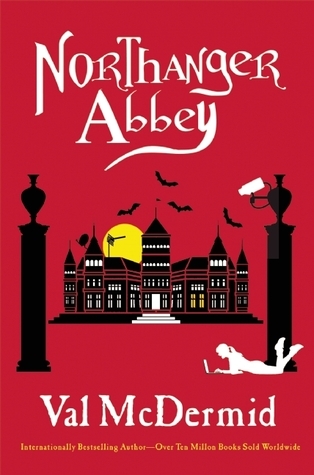 So far I’d say Northanger Abbey is the most successful. Sense and Sensibility also works quite well. For me Emma worked the least. Good to know! I’ll probably start with NA and go on from there. I’ve heard mostly negative reactions to Emma, so even though that’s the one that really got me started with my interest in The Austen Project, I’m a bit hesitant about it. A year of Jane Austen is ALWAYS a good thing. I am feeling old that it is the 20th anniversary of Clueless. how did that happen? And I love Bride and Prejudice. I want to watch it again, too. I’ve never listened to an audiobook before. Now I’m starting to think it would be a nice change! Great post! Thank you! Until about a year or so ago, I would have sworn that audiobooks weren’t for me. 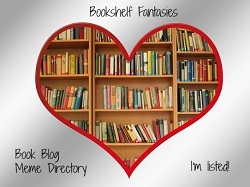 🙂 I’ve actually found them a great way to enjoy books that I’ve been wanting to re-read. I typically have a hard time focusing when I listen to a story, but with re-reads, I worry less about missing something if my attention wanders. An added bonus for me is that I listen to books when I exercise, and wanting to get to the end of a chapter is great motivation to keep going!